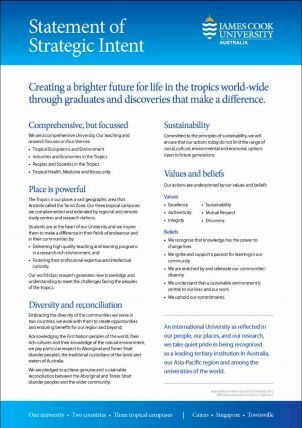 JCU aims to create a brighter future for life in the tropics world-wide through graduates and discoveries that make a difference. Fostering their professional expertise and intellectual curiosity. Our world-class research generates new knowledge and understanding to meet the challenges facing the peoples of the tropics.